Every hour of every day, whether we like it or not, we get older and that we cannot change. Aging goes down relatively well with men, but women have difficulty accepting the unavoidable. “Will you still love me when I am no longer young and beautiful?”, Lana del Rey sings in her song for the film “The Great Gatsby” and that is exactly what women dread the most as years go by. Getting older somehow implies that you will be no longer attractive and pretty. The natural aging process, however, is part of our growth, part of being alive. Still, it is something that becomes evident primarily on our skin and women do not feel comfortable about it. Women try to fight aging any way possible and often end up taking drastic measures in order to look youthful. According to The American Society for Aesthetic Plastic Surgery, in 2013, nonsurgical procedures, such as hyaluronic acid, photorejuvenation and microdermabrasion increased by 13% and injectables overall, such as Botox, saw a 21% increase. Our skin looks and feels different now than it did 5 or 10 years ago. With time, we all get fine lines especially around the eyes that slowly (and sadly) become wrinkles, our skin becomes less radiant and more fragile. These changes are beyond our control and 100% normal to occur. The time these aging changes appear differs between individuals and that is due to each’s genes. I often hear people say “look at your mother to see how you will age” and they are not completely wrong. 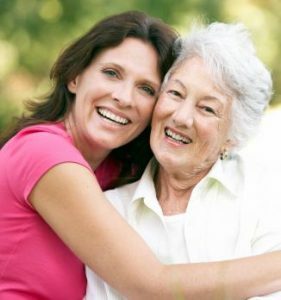 Heredity plays a key role in our aging. 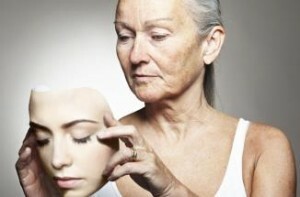 Still, often our skin ages a lot earlier than it is supposed to do; premature aging as we all know. But even though we can have no control over natural aging, premature aging is something we can actually oversee. Our lifestyle choices and the environment we live in can cause premature skin aging. Specifically designed anti-age serums and other skin care products can help diminish the signs of aging but prevention is what we should go for regardless of our age, starting today. Even though we often treat sleep as our enemy and our busy lifestyle is to blame, sleep is important for our overall wellbeing. 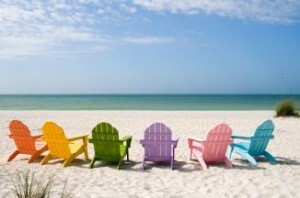 An individual needs on average 7.5- 9 hours of sleep in order to function at their full potential and look their best. During sleep our body produces specific hormones that help cells repair and regenerate and also maintains the collagen matrix of the skin preserving a youthful appearance. Sleep is a natural moisturizer too since increased perspiration during sleeping acts as a natural skin moisturizer that smooths out wrinkles. Just remember to sleep on your back, according to the American Academy of Dermatology, as sleep lines caused by sleeping on your side and pressing the side of your face on the pillow, can turn into permanent wrinkles through the years. Our skin is a protective covering over our body, preventing delicate internal organs from exposure and damage. That immediately means that it is prone to damage from environmental elements, like the sun and from the way we treat it everyday. To ensure it stays healthy and young looking we need to protect it from the sun and UV rays and also re-evaluate our pampering habits. Your body needs a balanced diet to work at its best, you are what you eat after all. If you eat junk food, your body gets it too and so does your skin. Extreme dieting is harmful and so are bad eating habits. Many studies indicate that eating plenty of fruits and vegetables can prevent premature skin aging as they contain antioxidants like vitamin C and E, vitamin A and biotin, a type of vitamin B. Try following a diet rich in lean proteins, whole grains, healthy fats, fruits and vegetables; tomatoes, carrots, chicken, walnuts, chickpeas, oysters are only a few of the things you can eat to preserve your beauty. And of course, as our body is up to 60% made out of water, drinking plenty of water is essential to stay healthy and look good too. Dehydration can lead to premature wrinkling and dullness, therefore avoid alcohol and drink at least 7 glasses of water per day. We are all aware of the potential health problems smoking can cause and it is best to quit (or at least start trying). But smoking also makes your look older. It contributes to the formation of wrinkles as it damages the skin’s collagen and elastin. Additionally, pursing your lips when inhaling and squinting your eyes to keep out smoke, can contribute to the formation of wrinkles on those areas. As I have already mentioned on a previous article, a little acute stress every now and then is welcomed. Chronic stress, on the other hand, can wear you down and lead, among other things, to skin problems, like acne breakouts, psoriasis and eczema. Manage your stress for a healthier you, as well as healthier skin. The results might be more dramatic than you think. It is important to have a positive attitude and be consistent with your skin protection practices. Even if you already have signs of premature aging that does not mean you cannot have a protective attitude towards your skin. Protecting your skin gives it a chance to repair some of the damage done already. Cherish the skin you have, feel good about yourself and beauty will thrive from within! Lab scientist, sharp dresser and cooking guru Maria is one half of the original alwaysladies.com founding team. She brings her opinions with earnestness and a smile, even when there are razor blades inside.